Another practical travel accessory. 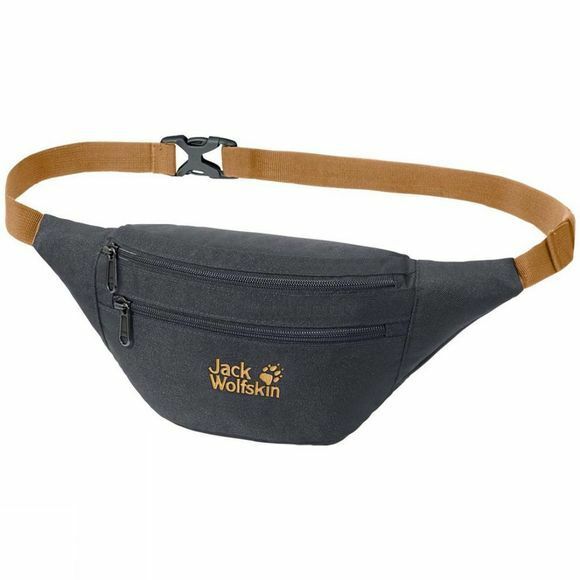 The Hokus Pokus Waist Pack from Jack Wolfskin has a secret flat compartment on the back for valuable items. Larger items go in the main compartment. You can fasten your keys to the integrated key clip in the front pocket.